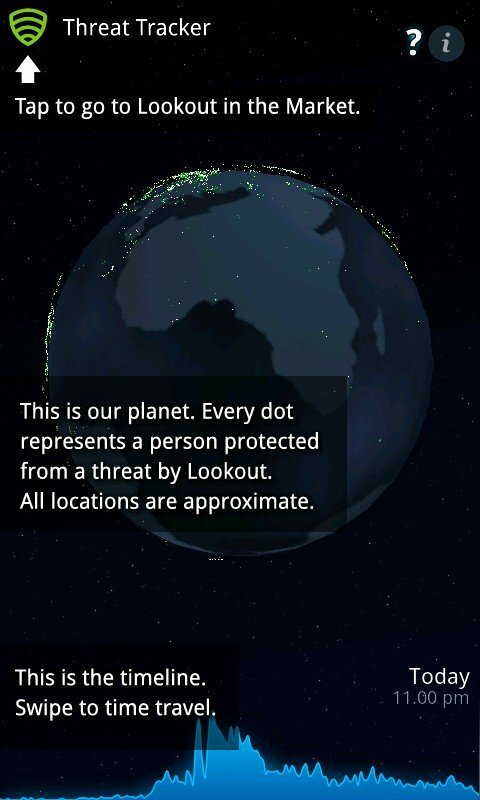 Lookout has released a neat new application this morning -- Mobile Threat Tracker. 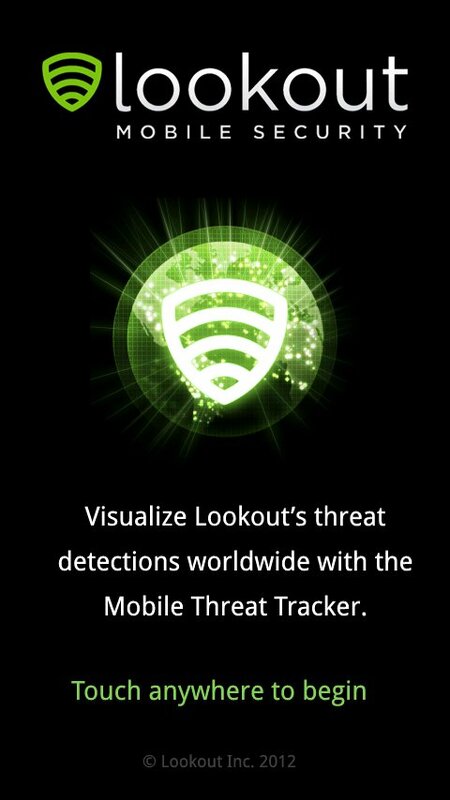 What it does is tell you where and when users running Lookout have came across malware in their mobile devices. 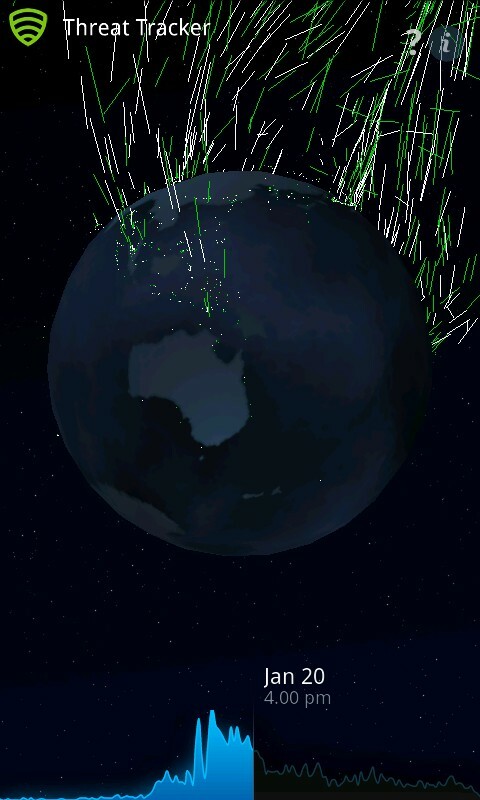 How it does it is the cool part -- the results are updated hourly, and when you start the app you get an animated timeline where individual malware "hits" are represented as tiny shafts of light zooming to the reported location on a globe. If you've ever played a global thermo-nuclear war simulation on an old PC, it looks pretty much like that -- which means it's cool as heck. 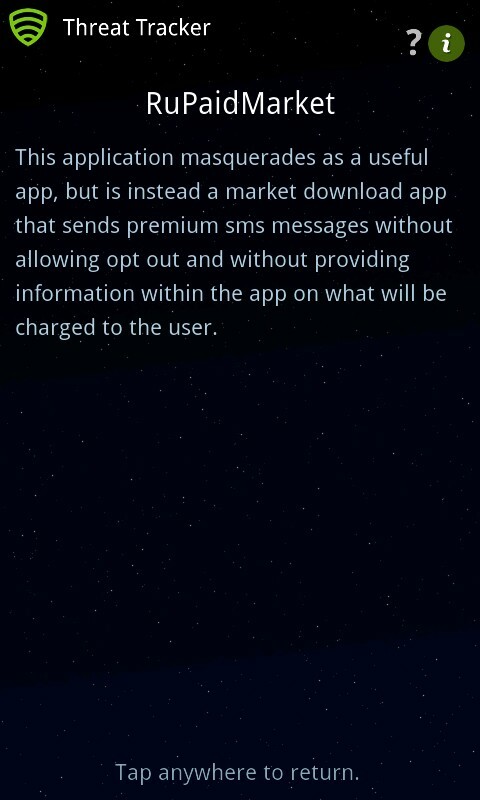 Interesting visuals aside, the app answers some questions many of us have about Lookout and mobile security in general. At a glance you can see how many mobile threats there really are and where they are concentrated. 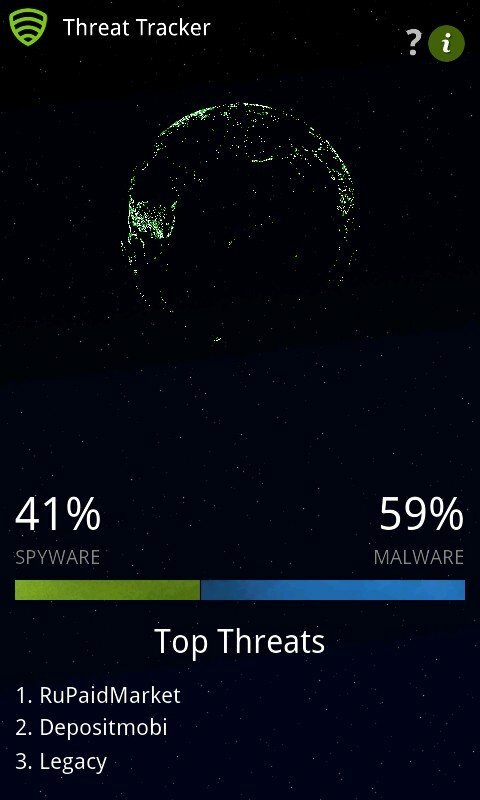 The information button shows you the top three current threats, and tapping on their entries tells you a bit about what they are doing and why Lookout marks them as malware. If you're a security researcher, or anyone who has to keep track of mobile security issues, or just curious, head past the break where we've got some screenshots and a download link.